Let’s see- GE pays no corporate taxes. We have hedge fund managers collecting billions a year– while making the global economy fail. Angelo Mozilo gets to pay back a pittance of his pay in return for throwing millions of Americans into foreclosure- but no criminal prosecution. Ignore the 10% unemployment figures, ignore the US workers who used to make cars and a decent living- now making hamburgers at minimum wage. Ignore the fact that the rich are getting fat- while the rest of us are having services cut left and right, while cities and states and schools are flat-busted broke. Let’s go after…. online poker. But late last week, the United States Justice Department delivered an unexpected thunderbolt to this huge lobbying campaign when it indicted top executives at PokerStars, Full Tilt Poker and Absolute Poker, accusing them of fraud and money laundering. In doing so the government has taken on a politically powerful industry that for a while seemed like it might transform gambling around the world…. An estimated 10 million online poker players in the United States have turned to these Internet sites, helping generate perhaps as much as $5 billion in annual revenues for the companies. On Friday the Justice Department said the companies had illegally moved their earnings to corporate headquarters in spots like the Isle of Man in Great Britain and Costa Rica by conspiring with middlemen who disguised them as sales of items like flowers, pet supplies and golf clubs. via Online Poker Has Big Setback, Despite Lobbying – NYTimes.com. And, no- it’s not being shut down because the game is being run illegally- with electronic decks skewing to the house or dealing better hands to the house- it’s because the money is being moved to tax havens (note- it’s not even legal to run online poker from the US). Also note- while it’s illegal to run online poker in the US- it’s not illegal for the politicians to receive campaign contributions from the companies (trust me- the amount is tiny when compared to the amount coming from the Wall Street Casino). Why aren’t we bringing charges up against every congressman who took the illegal money too? I am not a big fan of gambling as big business- but, while casinos make big money from “games of chance”- the poker room is the one place where skill actually comes in to play. If there is any kind of “legal gambling” – I put poker ahead of slot machines and the lottery any day. It’s also safer than the stock market- where the rules and the playing fields are tilted to the super rich- and out to screw the casual investor. If the Justice Department truly was seeking justice- they’d be shutting down the casino on Wall Street- but that would also shut down the flow of campaign dollars into Washington- and then what would we be left with? Honest politicians? Want to bet on it? Next Post: Who is sleeping with the vultures in City Hall? I agree on alot of what you have to say. 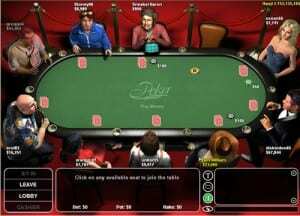 If the US Congress was smart they would tax and regulate the online poker industry. Poker is a game of skill not chance. Eric “Place” Holder had to do something as he wasn’t doing anything else except for negotiating settlements so the financial elite do not do the perp walk. Hard to believe he would go after gambling, but maybe online poker took away a lot of day traders from the Wall Street boys and they want their pigeons back? If the feds are picking on entities that take money from people and give them nothing in return why don’t they shut down the giant tax dollar toilet City of Dayton? The city effectively steals millions of dollars in resources and wastes it on guaranteed to fail projects that put money in the bank of the democrat party. If the best hope for this city is to maybe get one person on the commission like david, geez what is the point? The city is wasting our money on trying to build a gay town downtown so families can take their children to see the assless chap and s and m leather crowd. In the mean time people that invest their own time and money into southpark get nothing. Until David can get the city to spend money fixing the broken roads, curbs, and sidewalks of working southpark residents instead of building a field of dreams for homosexuals or subsidized luxury housing for the dumies on the westside Dayton is going into the abyss. If we would have spend the money wasted on “saving” this city over the last 20 years on just bulldozing the entire thing the world would be a better place. The only tricky part would have been making sure none of the scum that lives in the city got out and starting ruining the suburbs like they are doing now. Dayton has cornered the market on having the most disgusting and useless residents in the county. My suggestion is to move far far away, this ongoing disaster is just going to get worse.